Sketchfab Community Blog - World of Warcraft: Legion Fan Art Contest - The Winners! World of Warcraft: Legion Fan Art Contest - The Winners! The wait is almost over! Tomorrow, Blizzard will release the World of Warcraft: Legion expansion pack. We challenged our artist community to share their interpretation of the new storyline, so TODAY you can already enjoy some of the coolest Legion scenes on the web. Explore their scenes and enjoy the stories they’re telling! (And remember: all scenes work great in VR and on Cardboard too!). The judges’ votes got extra points so that they carried the same weight as the team’s votes, and we deducted ‘penalty’ points for entries that did not stick to the theme or that did not include annotations. Now without further ado, here are our winners! I chose this one because I felt it had the best scene composition and the execution of the textures was very clean… overall artistically it was my favorite project that fit the warcraft style. Pear wins: a World of Warcraft Legion -T-shirt, World of Warcraft: Legion Sketchbook (Hardcover), a USD 50 Amazon Gift Card and six months of Sketchfab Pro. Explore Dynast’s tiny isle that is the final resting place of a Nightmare Dragon. Can you find the key to the treasure chest? The texture of this one is really nice, especially with all the light baked into the model, I like the story behind it and also the background really adds to it. Dynast wins The Art of Blizzard Entertainment – Standard Edition, World of Warcraft Legion -T-shirt, World of Warcraft: Legion Sketchbook (Hardcover) a USD 75 Amazon Gift Card and six months of Sketchfab Pro. Arkeram Stonebreaker slowly went mad and his forge has been corrupted by the Legion’s dark powers. This scene contains awesome animated machinery and a long and detailed story! I think it matches the theme of the contest in every aspect. The textures are well painted, the story told there is good, the animation is super detailed, even when the hammer hits, the main platform moves with the weight of the impact. I think I can say this is the best one also because of the feeling I have when I walk around this piece, it really makes me feel like I’m in a game and something is about to happen. Cremuss wins an Oculus Rift Virtual Reality (VR) Headset, The Art of Blizzard Entertainment – Collector’s Edition, World of Warcraft Legion -T-shirt, World of Warcraft: Legion Sketchbook (Hardcover), a USD 100 Amazon Gift Card, and a Year of Sketchfab Pro. The quality of the work was SO high that we did not want to stop at highlighting just three entries! Enjoy our honourable mentions as picked by our judges. 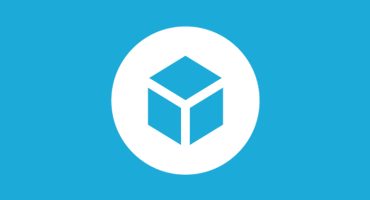 Each will receive 3 months of Sketchfab PRO. I really love the visual and the high quality of everything, and he has put a lot of work into those animations. I chose this project because it was one of the best hand painted scenes and fit the legion theme, the biggest drawback was the lack of care taken in the annotations. This project was also well executed painting-wise and while the thumbnail wasn’t very striking the shots framed in the annotation scenes were well composed and very well written. This is pretty awesome! I could see something like this in WoW! Love the textures, every piece of wood looks like it was painted with love! Great story too, I’d love to know more about him! Some awesome work here.. wish I’d had time to work on something.. maybe next time! Congrats to all the winners! See you next contest! Nice choice of winners and well deserved! and special salute to the special mentions! Congratulations, amazing entries 🙂 I really loved this contest and the new diorama hype! In the contest requirements you did not demand animation and therefore, I dindt work on animation in the requirementes you demanded to realize a diorama with an scenary and optional characters who tell the story related to WoW Legion, this contest was a fan art so this is a free-style for each artist, but I see that the judges just choose the closest art-style of Blizzard, taking into account that the creator of this contest told the artists thas this was a fan art contest where we can capture our personal design as fan art and that the art style of Blizzard can not affect the final result and that some entrys without the Legion theme was going to be disqualified. A lot of rules but you didnt abide to them (And the misinformation in forums). I worked on a diorama with an scenary and characters with a lot of effort and lots of days without sleeping and I pause for a lot of time my job, to tell a story that had emotions and feelings, something that for real, had consecuences in the World of Warcraft world and that its completely linked to the Legion lore and a good story according to the composition of the scene, everything was elaborated and nothing left to chance. I feel really bad, not because I didnt win but the organization and information of the contest, the non-objective choices in the requirements made that all things planed from the begining changed at the end of the contest. I dont have any reason to partifcipate in more contest, knowing that at the end, you’ll change all rules of the game, I know that I did a great job and the community of WoW loved it. I feel happy with the outcome that I had, and even that the judges didnt recognized my work I know that other people really do. sorry to hear that. We did not make animation and style a deciding factor in the contest, and actually applied penalty points for models that did not follow our rules (like not using annotations, or not even following the Legion story line). In your case, you did end up very high on the list. Very close, but not high enough, sorry! For what it’s worth, I think you did a fantastic job. I’ve made ” Rise of the Murlocs” and if I were close, as you said, at least you could give me a honorable mention. Speaking about the selection process, you said “We did not make animation and style a deciding factor in the contest” but if you read the comments of judges in every work they qualified them with: Blizzard-style textures and animations. Where is the qualification of the story, if its supposed to be a diorama? 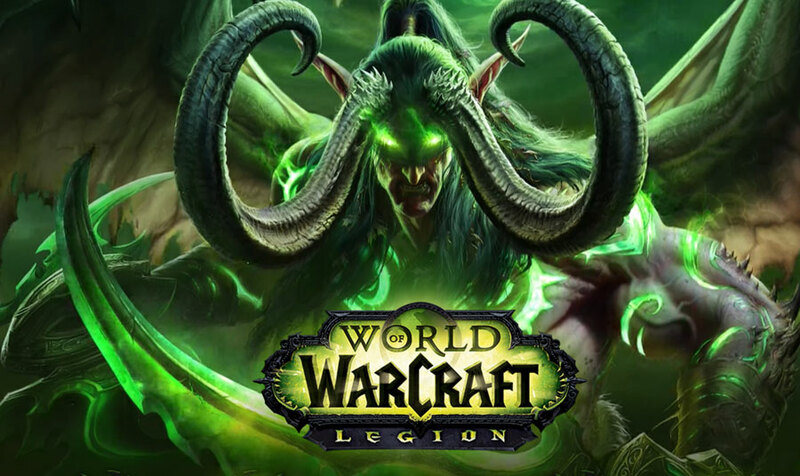 Not everything need to have “green” energy to be from Legion the theme has a real lore and I know about it, I’ve been playing for more than eight years and I know what I’m talking about. I didn’t put a random or literal annotation for objects like ” This is a lamp” or “This is where demons sacrifice people” I’ve explained all objects and the scene with an emotional narration composition through annotations, that’s the purpose of a diorama that it has a real connection with the storytelling, that’s why I say that the contest does not abide to the rules, please, for next contests, just say that you need landscripts or enviroments with descriptions but dont use the word Diorama on their requirements. Can you give me a reply please, because a lot of participants fulfilled with the requiements and deserve a Honourable mention or be among the winners. The third winner entry don’t have any link with the contest theme, I don’t see nothing about legion lore, but is a good work, other person deserves that place. Also you told about the annotations and penalty points but the first Honourable mention dont have any annotations.. that place also is for other person. I don’t understand how a lot of people work with effort alone and don’t have appreciation and others have worked in groups and they have gone undetected … some entries are impossible to achieve on that time lapse…it’s logical…Other entries don’t have a complete process, I didn’t see sketches and an original idea why nobody said anything… The contest have closed at august 22 but some entries have been modified two days after with story, animations and improved models, why the staff didn’t block the system?, many people was cheating days after delivery date… what happend with logistics? decisions only because you have not the reward you think deserve. Your annotations is really fun and characters (facultative in the contest) are great but if it is not good enough yeah ok deal with it mate. 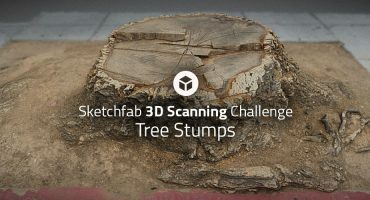 Sorry to take part of this discussion but it’s a shame to accuse sketchfab, participants and talk nonsense when everyone work hard and take a lot of time to do the best of themselve and take these things seriously. I didn’t talk about my work, prize or reviews, I only talk about the the unfair rules and contest logistics for people that put a lot of effort and not have any recognition. Both sides are right so there won’t be anyone who get the final words without having the other party arguing. Every winners are really talented and we can all agree on that. Does all the winners and honorable mention fully respect the contest rules and follows the requested features? No. Due to that, the scoring is put to trial in the mind of anyone who made an extra effort to follow everything that was requested. The main issue seems to be about the judges’ comments not following the contest own rules and requested features and, on that, I agree with Camilo… If what’s written in those judges’ comment really were the main points of selection, this contest wasn’t judged correctly. 1st place was highly noted for its animation. As animation is not supposed to be part of the score, it shouldn’t have been considered at all. Maybe a side-personal note from the judge, but not as the whole point of its scene. Yeah, its animation is awesome… but that’s an point out of the contest requirements and scoring chart. In terms of creativity, that scene isn’t great considered it’s only half of a scene and includes a obvious symmetry on its main asset which literally separate the scene in 2 identical parts. For an in-game asset, it’s a good trick to save on textures… but for a standalone contest, it’s a bad point that should immediately remove it from the 1st place. 2nd place is an example of something that should be in the winners. Good story given in the annotation, awesome amount of great details and gives a good fan-made representation of the expansion (or at least what we know of it). 3rd place doesn’t contain any story in its annotation nor its content. It’s a “slice of earth void of life except for a fish”. It’s REALLY well made, but lack things that were requested from the beginning. Goblin Harbor : Again, the animation was taken in consideration and no Annotation. Floating tower from Mardum : Would it been mentioned as a Honorable mention if it didn’t had any animations? I leave the answering to the judges. But, again, animation were NOT supposed to be part of any judging votes. With that said, everyone did a great job and I thanks Sketchfab for their awesome idea! Next time, they should make the rules of their contest clearer either to the judges or the participants. Everybody can learn from their mistakes. Thank you guys. It’s an honor and a privilege! Coudn’t have picked better 1st place myself, the forge is amazing! Now its time to rest till the next contest :D, see you there. GJ guys, im surprised that there was no attack of murloc diorama. I like honourable mentions more. Goblins are awesome. Awesome! I love all the works! Very excellent execution. I’m agree with the winners selections! Congrats to every one!